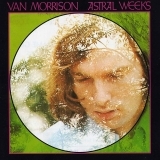 Astral Weeks by Van Morrison (CD) Free Shipping! 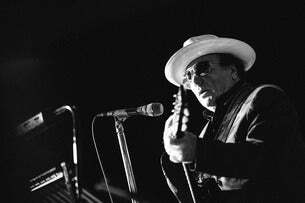 Astral Weeks is ranked as the best album by Van Morrison. Members who like this album also like: The Dark Side Of The Moon by Pink Floyd, Revolver by The Beatles and Abbey Road by The Beatles. Related links: top tracks by Van Morrisontop tracks of the 1960s, top tracks of 1968. Showing latest 5 ratings for this album. | Show all 1,351 ratings for this album. Like nothing else out there. Every song is meticulously crafted and perfect. Astounding to listen to, even after all this time. I honestly do not get this album. It's OK, but nothing special, let alone being ranked 68-2. A few good cuts (Astral Weeks and Sweet Thing), but mostly humdrum. A very tedious listen, to be blunt. To those of you who are enthralled with it, more power to you. That's what makes music so great and fun. Música vinda do fundo do coração. So what’s so special about this album? Prolly has to do something with lyrics again. The choice of instrumentation creates a beautiful atmosphere though, but they follow very predictable patterns in rhythm, melody and harmony. The vocals? You can hear he tries hard is all I’m gonna say. Ok, I love the White Album, but this has to be the best album of '68, right? It's just ridiculously gorgeous in its impressionistic lyrics and the way the instrumentals seem to fall apart and come together several times throughout each track. It's like a pastoral, jazz influenced version of Dylan's Blonde on Blonde, and it's stunning! Sonic perfection. Astral Weeks has held up as a truly timeless classic, with undeniably brilliant arrangements and lyrical prowess. Van Morrison takes you on a journey through youth, nostalgia, and the bittersweet beauty of growing older. Few albums are capable of touching the emotional depth of this work. Front to back filled with imagery that has the capability of putting you right in the narrator's shoes. Though not an album that all can experience and enjoy, those who do will be astonished by the callbacks to life in a way that even Yeats would be inspired. Astral Weeks and Sweet Thing are two of the greatest songs ever written. One or two of the other tracks are pretty listenable, but some of the album is ear grating to me. Più che un disco, un flusso di emozioni srotolato senza badare alla forma canzone. More poetry than actual music, to me the tracks although magical are a bit too long, making me lose my interest at the 5 minutes. Van is the man! This record is the product of a truly great singer getting so lost in the music it feels like he's possessed. The listening experience is like no other.